Dual SIM mobile with a 'touchscreen' seems like the new secret recipe make a name the Indian handset market. Touchscreen devices are very much in demand all round the world, be it mobiles or cameras or even other electronic gadgets as music players. Keeping pace with the trend, Indian handset market is also booming with similar devices. All the mobile handset makers are offering phones with dual SIM capability in touchscreen handsets. Indian brands like Micromax, Lemon and fly are also not left behind. Desi manufactures have also come up with many a touchscreen mobiles with variety of features. The latest in the league is Lemon iT 717. 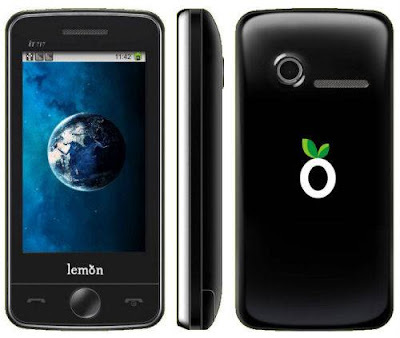 The handset from lemon has been launched a day before on October 6, 2010. As per the specifications released by Lemon Mobiles, Lemon iT 717 is also a typical dual SIM touchscreen mobile.The novel iT 717 from lemon boasts a 3-inch touchscreen display and offers dual SIM and dual standby functionality (GSM+GSM). It has inbuilt 3.2 megapixel camera which makes it stand out of the crowd. The price of the phone also makes it a worthy buy and features in the phone are also such that they need a mention. Lemon iT 717 features a inherent FM radio, video and audio player that support multiple formats like MP3, AAC, MIDI and WAV in which a music lover can play his favourite music. The volume keys on the edges of the handset make operation easier, faster and they are dedicated for the same. The internal memory of Lemon iT 717 is around 28 Mb which can be expanded to upto 8 GB via micro SD cards.2000 contacts can be stored in the phone without a problem. There is a large 1100 MAh standard Li-ion battery that provides talk time of 5 hours and 8 days of standby time.The joy of web browsing and Internet surfing is also possible on Lemon iT 717 as it is preloaded with web browser Opera and Nimbuzz Instant messenger. The connectivity features also include PC synchronization, Bluetooth and Voice Recorder. 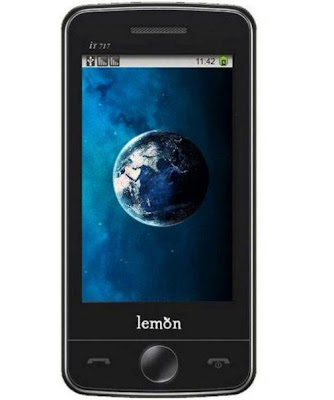 Lemon iT 717 price in India is just Rs. 4,499.